Before KYBELLA®, surgical liposuction techniques were the only options available for removing fat pockets from below the chin. Now, modern advancements in cosmetic injectables have lead to the development of KYBELLA® for the treatment of a “double chin” without the need for surgery. KYBELLA® complements the full range of non-surgical and minimally invasive enhancement options available at the Cosmetic and Laser Surgery practice of Christine Petti, MD, FACS. How Long Do KYBELLA® Results Last? 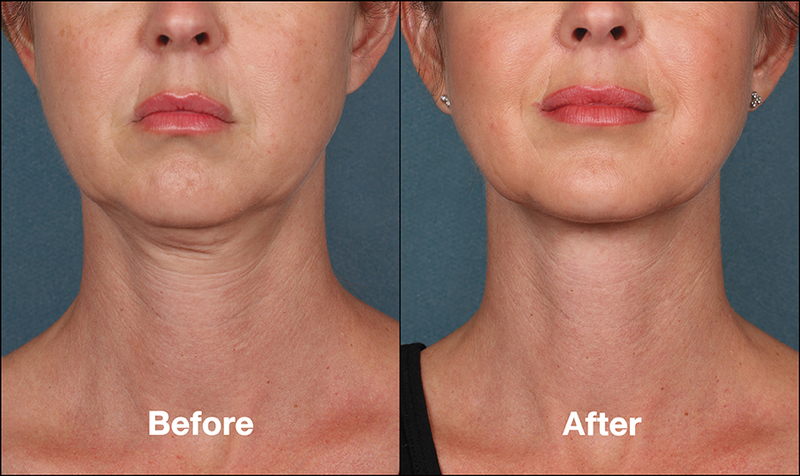 KYBELLA® is the only injectable solution FDA-approved for the reduction of excess fat beneath the chin. Composed of deoxycholic acid, a natural compound found in the body, KYBELLA® is injected into fat deposits that create the appearance of a “double chin” or unwanted neck fullness. Once injected, KYBELLA® can dissolve and initiate removal of the metabolized fat cells from the body. Through a series of carefully placed micro-injections, KYBELLA® has the potential to permanently eliminate targeted submental fat. Once injected, the active natural ingredient in KYBELLA® breaks down and metabolizes fat cells through a process called lipolysis. Over time, the area becomes leaner, tighter, and smoother, and additional injections are typically not needed following the recommended number of treatments. For patients who are good candidates for KYBELLA®, treatment sessions are relatively simple and can deliver remarkable results. Plastic surgeon Christine Petti, MD will perform a thorough examination during the initial consultation to evaluate your cosmetic concerns and determine the best course of treatment. Candidates for treatment with KYBELLA® generally have areas of fat beneath the chin and/or jawline, good skin elasticity, and supportive musculature. Because KYBELLA® can only treat fat volume, patients with loose, inelastic skin, and/or muscle laxity may be better served with a procedure like neck lift. Before treatment, the under-chin area is numbed with topical anesthetic, which reduces any potential discomfort during the procedure. Following a carefully planned strategy, Dr. Petti will administer the KYBELLA® injections throughout the treatment region. Once the injections are complete, ice will be applied to mitigate any potential swelling or redness that may occur. Are There Any KYBELLA® Side Effects? Some redness and inflammation is to be expected initially after KYBELLA® injection, as the solution sets to work on breaking down fat tissue in the treatment area. Within a few days of treatment, mild bruising may develop and some swelling could remain, but these effects should diminish over time. After one to two weeks, all minor side effects should be resolved. What Results can I Expect from KYBELLA® Treatment? For most patients, the results of KYBELLA® gradually become visible over the course of several weeks as fat continues to be eliminated from the body. Treatment can be repeated within four weeks of each KYBELLA® session to achieve further fat reduction, and the final outcome is typically apparent after three to four months. When KYBELLA® injections are performed by a highly trained and experienced injector, the results can be incredible, particularly for ideal candidates. For those who are well-suited for KYBELLA®, Dr. Petti carefully plans and customizes her approach to deliver optimal improvement and high-quality aesthetics. Unlike other injectable treatments that deliver immediate results, KYBELLA® typically takes three to four months before fat reduction is complete. Dr. Petti’s patients often rave about the final results they achieve with KYBELLA®, noting how the reduction of fat from beneath the chin enhances their facial proportions and profile. 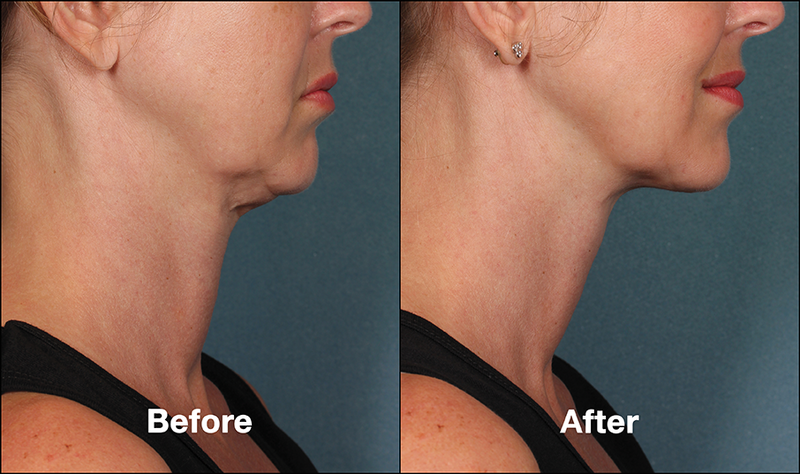 To see these results for yourself, we invite you to view KYBELLA® before-and-after photos featuring Dr. Petti’s patients. KYBELLA® works by breaking down fat cells and permanently destroying them. When the damaged cells are removed from the body—via a natural metabolic process—they cannot regenerate, which creates results that can be long-lasting. In order to maintain optimal results over time, it is important to avoid excessive weight-gain. If you have loose skin below the jawline contributing to the appearance of a double chin or neck fullness, you may be a better candidate for a custom neck lift rather than KYBELLA®. KYBELLA® delivers the best results to individuals with excess fat who still have good skin elasticity, which enables the skin to retract nicely as the treatment area becomes leaner. During your consultation, Dr. Petti can evaluate the quality of your skin and educate you about the customized treatment plan that can best address your needs and meet your expectations. During your consultation, you will be provided with a detailed price estimate for your custom KYBELLA® treatment plan. 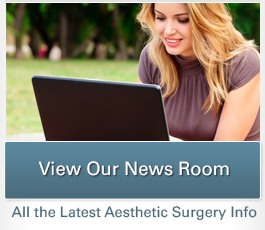 To make paying for your cosmetic enhancements more convenient, we accept major credit cards, as well as plastic surgery financing provided by CareCredit® and Prosper HealthCare Lending. CareCredit® and Prosper HealthCare Lending are third-party lenders who offer flexible payment plans and loans to qualified applicants. Loan approval is received quickly after submitting the application, which allows you to get started with your treatment right away! For more information about KYBELLA®, please contact our office. 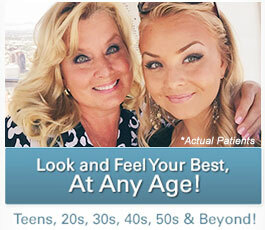 Our friendly staff can answer any questions you have and help schedule your consultation with Dr. Petti.